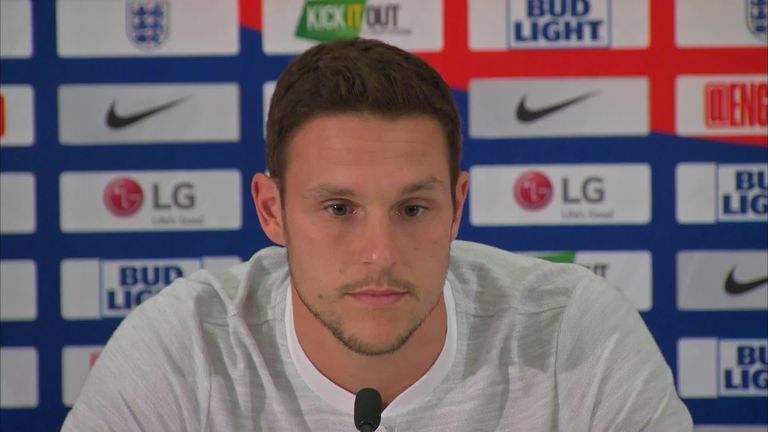 Alex McCarthy is determined to ensure it is third time lucky with England by grabbing his latest opportunity to impress manager Gareth Southgate. From loan spells in non-league to long stretches as back-up, the 28-year-old's patience, determination and talent are now being rewarded at Southampton. Having replaced Fraser Forster in December, the goalkeeper played such a key role in saving Saints from relegation that he was voted the club's player of the season by both fans and team-mates. Such form has seen McCarthy handed a third England call-up, with Jordan Pickford, Jack Butland and surprise late addition Marcus Bettinelli providing the competition in Southgate's squad. "I wouldn't say it puts more pressure on me," the Saints goalkeeper said of Bettinelli swelling the goalkeeping ranks on Tuesday. "I think, at the end of the day, I sort of concentrate on what I've got to do. "Obviously I've been called up for a reason and there's now four of us here, but it's a time for me to go out there and prove what I can do. "And at the end of the day, I want to give him a decision to make. "Obviously it's an unbelievable feeling to be back here. "I've been in two squads before but that was quite a while ago, so obviously after the World Cup and everything that has gone on it's been a positive for English football. "It's nice to be back involved and a part of it." Roy Hodgson gave McCarthy a first taste of life with England in May 2013 after impressing at Reading, before he was then surprisingly called into Sam Allardyce's only squad two years ago following an injury to Forster. McCarthy still remains uncapped, though, and is dreaming of making his debut in either the Nations League opener against Spain or the friendly meeting with Switzerland. "We have had a positive start to the season [at Southampton] and to get the call-up was the cherry on the top," McCarthy said. "Obviously it will be a very proud moment for me and my family. "When you are growing up as a kid, all you want to do is play football and represent your country. "If I do get my chance, I know I will take it. I will be overwhelmed."